Home Tags Posts tagged with "lisa bardack"
Hillary Clinton’s personal doctor, Lisa Bardack, says the Democratic nominee is “healthy and fit to serve” as US president as her campaign released updated medical information. 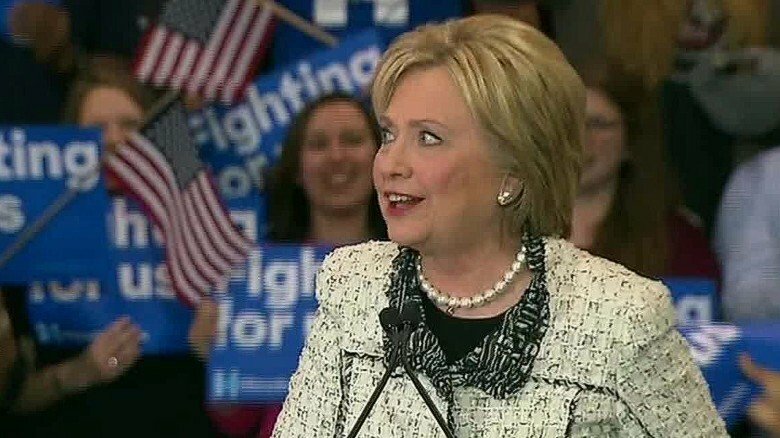 The statement said Hillary Clinton “continues to improve” after a pneumonia diagnosis. The disclosure came as Donald Trump released health data of his own on The Dr Oz Show. Hillary Clinton aides say she will return to the campaign trail on September 15 after falling ill in public at the weekend. Both candidates, among the oldest ever to run for the White House, have been under intense pressure to share more medical information. Health issues have dominated the race for November’s election since a dizzy spell forced Hillary Clinton, 68, to leave a 9/11 ceremony in New York on September 11. Hillary Clinton’s campaign said on September 14 that her physician found her complete physical examination was “normal” and she is in “excellent mental condition”. Dr. Lisa Bardack said Hillary Clinton was “recovering well with antibiotics and rest”. The campaign said Hillary Clinton had a chest scan on September 9 that showed a “mild, non-contagious bacterial pneumonia”. Hillary Clinton – who has been recuperating at her suburban New York home – was treated with an antibiotic called Levaquin, which she was prescribed for 10 days. The physician said Hillary Clinton was up to date on all vaccines, including two given to help prevent pneumonia, Prevnar and Pneumovax. The letter did not state when she received those vaccines. Hillary Clinton’s blood pressure (of 100 over 70) and total cholesterol (189) were all within healthy levels, according to the letter. The former Secretary of State also had a normal mammogram and breast ultrasound, said the doctor. Hillary Clinton takes thyroid and allergy medicines and the blood thinner Coumadin, prescribed after she suffered a blood clot resulting from a 2012 concussion. The blood clot was said to have been in a vein in the space between the brain and the skull behind the right ear. The complication led Hillary Clinton to spend a few days in hospital and take a month off from her job at the State Department. Donald Trump, meanwhile, has said he is planning to release details this week of a recent physical. The Republican White House nominee handed over a one-page summary of that examination while appearing on The Dr Oz Show. Donald Trump told Dr. Oz he is 236lb and 6ft 3in tall, which would make him clinically overweight. The Dr Oz Show will not be broadcast until September 15 and the campaign declined to immediately disclose the results. Donald Trump told a rally in Canton, Ohio, on September 14 that he doubted Hilalry Clinton would have the stamina to lead one of his events. Donald Trump later said she was “lying in bed, getting better”.